Spring and summer are insanely busy for professionals in the outdoor building trades. Our skilled tradesmen are working very long days and our project start dates are pushed out quite a way. If you encounter a contractor in mid-May who says that he is available to start right away, be very wary. It’s the equivalent of talking to one of Santa’s elves on December 15 and having him say that things have been slow so he’s been getting a lot of reading done at the office. It’s a sufficiently unusual enough situation that it should set off warning bells in your head. Any experienced, reputable, licensed contractor will be booked solid in the warmer months. If you talk to a contractor who is not, you should ask yourself why. A new contractor will not have had the time or opportunity to to build a reputation in the community. This makes it difficult to judge the quality of his work because there will be fewer past customers to consult for references and not many previous jobs sites to go visit. This might not ultimately be a deal breaker, but you will need to do additional due diligence about his skills and competency to assure yourself that he/she will do a professional job on your porch or deck. A contractor with a poor reputation is another matter entirely. There is no amount of cost savings on a job that will make up for trusting your home and your money to someone who has done shoddy or incomplete work in the past. If you contract with Archadeck of Kansas City in the spring or summer, we will have to put you on our waiting list before we can begin your project. At this time of year, we regularly receive 20x more phone calls each month than we do during the winter. We don’t want to make customers wait, but we have to. That’s the bad news. The good news is that I can give you as many references as you want. If you have the time and want to visit 20 of our past customers, you could. I can also send you to many review sites which each have many reviews attesting to the quality work and excellent service you will receive. Once that you accept that you will probably have to wait before breaking ground on your new outdoor living space, you might want to get a jump on some of the planning that will improve the work that you and your reputable contractor will do together. First, think about how you want to use your new space. Identifying function goes a long way toward creating a quality design for any living space. Do you hate bugs? Love sun? Host large parties? Want a place for your cats to watch birds? Think about these kinds of activities and take notes. It’s also important to think about your budget. There is no need to be bashful about talking about money. Building is our business and we have these conversations daily. Your budget will drive the scope and materials of your project, so it’s important to have an idea about it up front. You don’t need to know all of the cost details in advance, but you want to know enough to stay within a budget where you are comfortable. If you’re considering the addition of a deck, porch, patio or other outdoor living structure to your Kansas City area home, don’t wait. 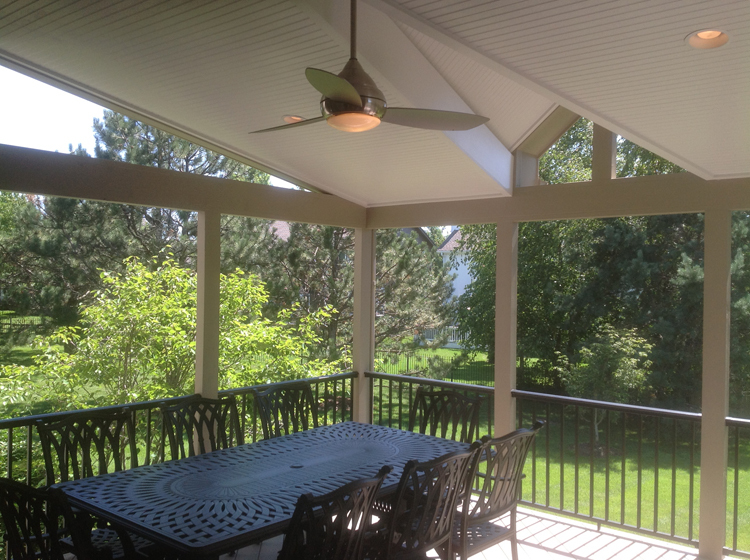 Give us a call at (913) 851-3325 for a free consultation or email us at kansascity@archadeck.net. We look forward to your call. This entry was posted in Choosing a contractor on May 26, 2015 by archadeckkansascity.